It all started on October 27, 1923. A crowd of 4,000 gathered for the dedication ceremonies for the San Diego Naval Training Station, later known as Liberty Station. The American flag was raised for the first time as a chorus of The Star Spangled Banner was sung by 100 local children. There were a handful of officers and trainees. But over the next 74 years, 1.75 million sailors would receive training here, having a profound effect on every aspect of San Diego life and times — not to mention an enormous impact on virtually every part of the world. The very first buildings constructed on-site included a mess hall, the first four barracks buildings, the dispensary, the fire station, among others. Then, the 1930’s were marked by expansion and modernization for the Naval base. A library, church, medical center and more were added. During the war years, this land grew to accommodate sailors. So much so, during the peak of WWII, the Center’s population reached a whopping 33,000. NTC remained a vital part of the military effort till the early 90’s. 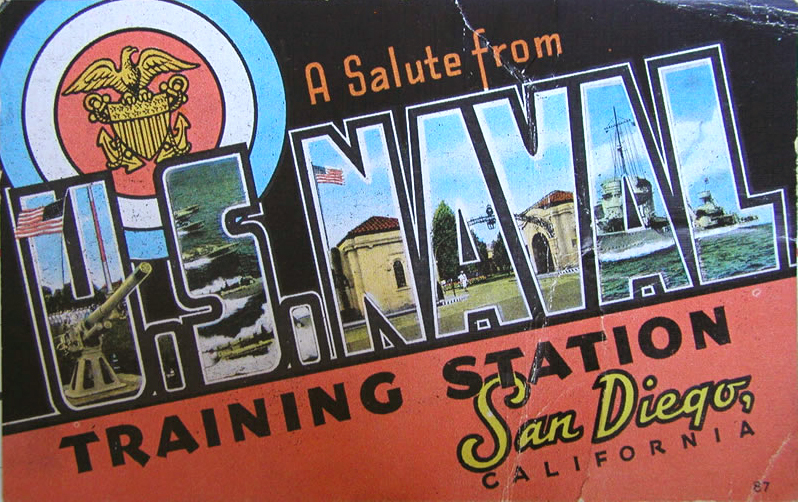 The Cold War led NTC to downsize, and the base closed due to surplus bases in San Diego. After receiving input from San Diegans, the land was put to reuse for future urbanizing — what is now Liberty Station. The richness instilled by Liberty Station’s early start can still be found in the architectural influences and sense of community. The area is marked by a historically noteworthy design, specifically the Spanish Colonial Revival style. Many buildings at Liberty Station have even been restored and preserved as a nod to its predecessors and historic significance. Exploration is at the heart of the Navy and a calling within us all. We are beckoned to expand our horizons, experience new activities and make lasting memories. And Liberty Station owes that deep tradition to NTC.